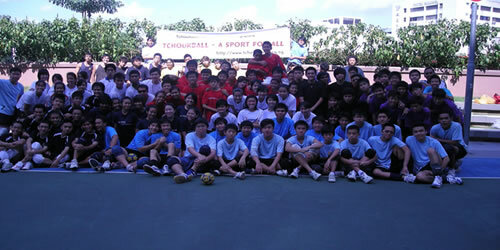 30 players and 2 coaches from our TBAS training programme visited Malacca for a 3 day training tour from 14 – 16 Dec. Friendly matches against the Malaysia teams were also organized. 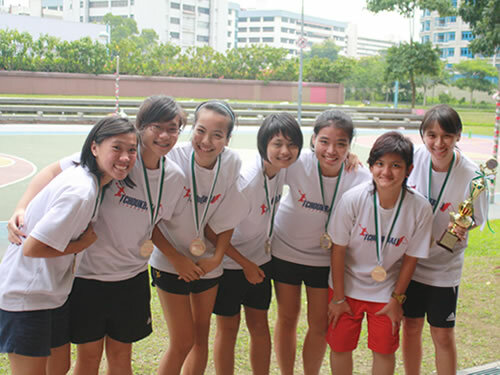 Our Singapore Men team won 46-38 and our Singapore Women team won 37-21 against our Malaysian counterpart respectively. Singapore is now ranked world number 7 after these latest friendly matches. For more info, you can visit the FITB website HERE. 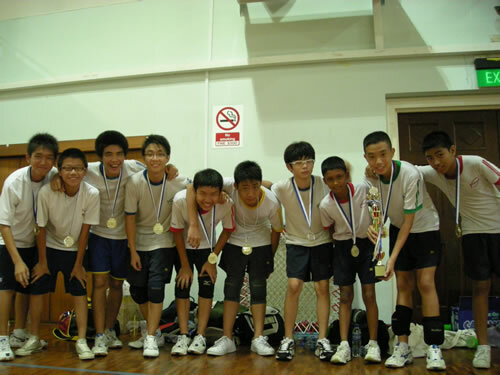 This year’s C division championship was held in the sports hall of SMRT Clubhouse on 22nd October. After two years of inter school competitions, we reached two milestones that we can truly be proud of. This year’s participating schools became the first teams to play full matches of 3 periods of 10 minutes each, and for the first time, the participating schools have senior B division players whom actually came to support their C division teams. 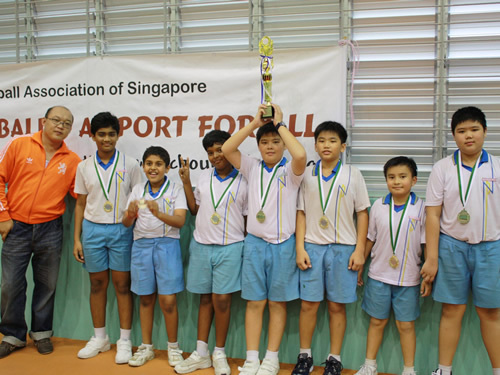 These positive developments indicate that schools are having a growing base of Tchoukball players across the B and C division as well as acquiring the capability to play full Tchoukball matches. This certainly bodes well for Tchoukball’s future development. The full match results and final standing can be found HERE. Congratulations to the winners of both categories! The National Library Board, together with Singapore Sports Council and Tchoukball Association of Singapore organized the above event on 27 and 28 Sept at the National Library event atrium @ Victoria Street. A total of 12 teams took part and it was a fun-filled and action packed day for everyone. Congratulation to the winners – Fiery Warriors (Men category) and Chuggerz (Women category), both teams went home with trophies, medals and cash prizes. 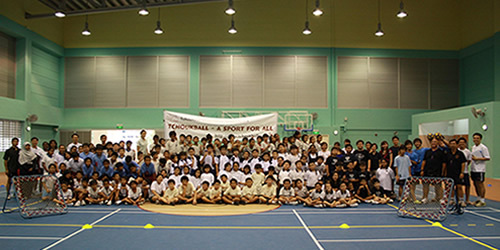 The above event was held in Pei Tong Primary School and schools from the various zones took part. Congratulations to Northland Primary and Bendemeer Primary for coming in first in the Boys and Girls divisions respectively. Congratulation to both the winners ! 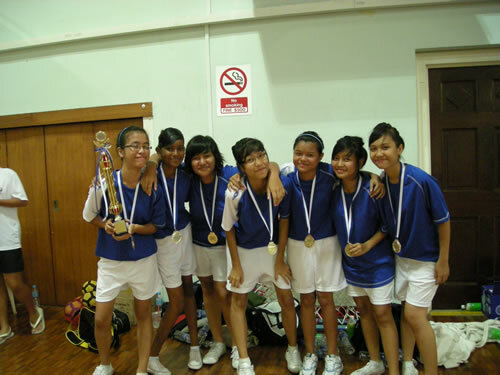 The above event was held at Innova Junior College’s Sports Hall on 1st Aug. Congratulation to Nanyang Junior College who came in first for both the Boys and Girls categories. The results can be seen HERE. Congratulations to Fiery Warriors who finished as the top team in the 8 team league competition. The results can be viewedHERE. The TBAS Inter School Championship 2008 will be held on the following dates. 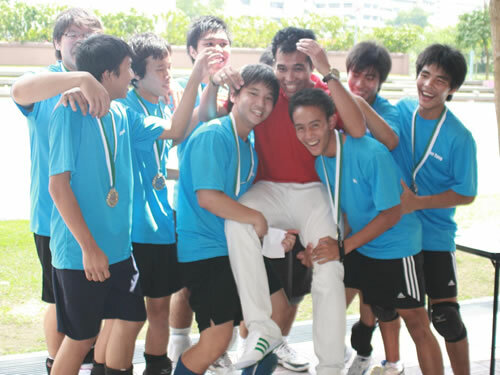 “C" Division Boys & Girls categories – Post Exam Oct. Venue to be confirmed. The above event will be held at Velocity @ Novena Square from 25-29 June. The beach tchoukball court will be available from 6 to 9pm from 25-27 June for public usage. 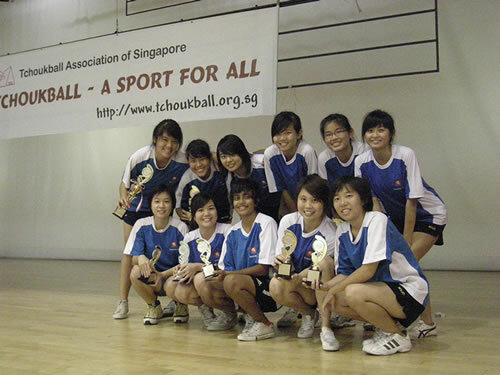 Please email us at contactus@tchoukball.org.sg to book the court for your training or playing. There will be an Under-18 Mixed category Beach Tchoukball competition from 11am to 6pm on 28June. Our national team players will be making a special appearance for an exhibition match from 10-11am on the same day. If you would like to learn to play Tchoukball, we will be organizing Learn to Play clinics from 10-6pm on 29 June, so come down and try it out! Do contact us for more information. Congratulations to the Singapore Men and Women national teams who finished as the first runner-up position in their respective categories at the just concluded Asia Pacific Tchoukball Championship. Both teams will now represent Asia in the World Games 2009 to be held in 18-26 July in Kaohsiung, Taiwan next year. Please click on the Competitions link above for more details. The World Games link is to the left. We have set up a database of referees and court officials on our website for your reference. You may click HERE to view the database. 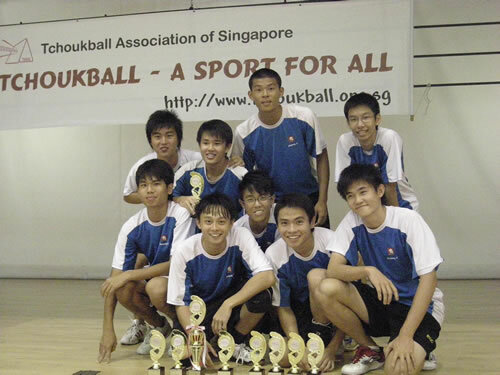 The Men and Women national teams have been formed to represent Singapore in the Asia Pacific Tchoukball Championship 2008 from 20-22 Jun 08 in Hong Kong. 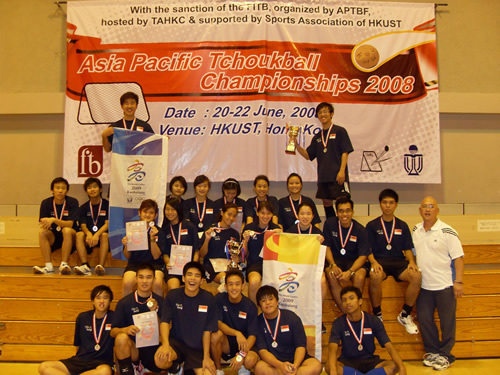 The top two teams will represent Asia in the World Games 2009 in Tchoukball. Please click on the national team links above for more information. TBAS will be organizing a series of courses in May and June 08. Do visit the respective pages for the dates and venues. TBAS is looking for volunteers who are interested to play a role in the promotion of Tchoukball. We are also looking for schools from various zones to partner us to start/promote Tchoukball. If you are interested, please email to contactus@tchoukball.org.sg with your name and contact number and we will get back to you shortly. 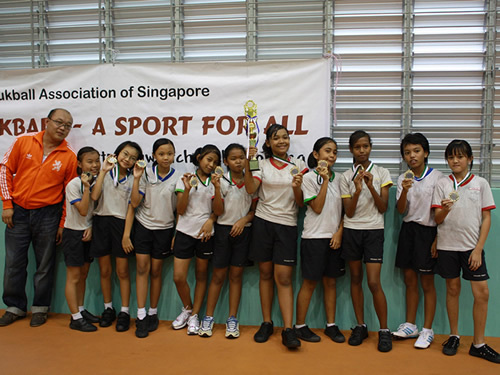 Tchoukball was featured on The Straits Times on 11 Apr 08 under the “Sports In Schools” column. Do click HERE to read the article. 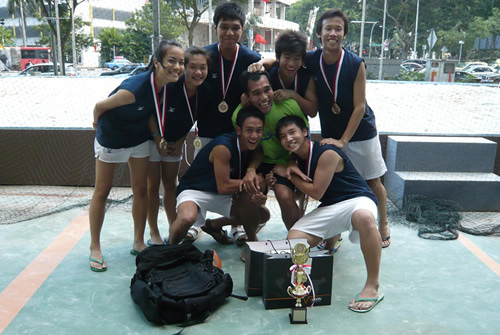 We are also featured in an article on www.redsports.sg, a local website that features Singapore sports. Click HERE to read the article. We are pleased to announce the setting up of the TBAS Training Programme, where selected players will be put through intensive trainings to raise their playing standards. Players will be selected from this pool to represent Singapore in competitions. If you are interested to take part in this training programme, do look out for our selection trial dates on our forum in the link below. 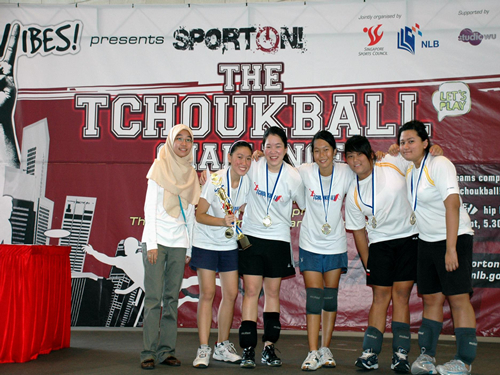 Please email us at contactus@tchoukball.org.sg with your contact number for more details. You can also obtain more information from HERE.